The Sea Opportunities is an innovative start up ready to provide, with the best value for money, customized underwater robotic & sensors to satisfy several requirements. Oil & Gas, environmental survey, sewage pipe - aqueduct & dums preventive survey, fish farm monitoring, coast safeguard for military remediation, harbour survey & hull survey, and much more. 06 Set THE SEA OPPORTUNITIES INTRODUCES NEW ROV: ROV Opportunity – Observation Class ROVs … and much more!! The water is the driving force of the development and the subsea world is the source of epiphany: this is the origin of The Sea Opportunities! The Sea Opportunities is an innovative start up ready to provide, with the best value for money, customized underwater robotic & sensors to satisfy several requirements. Oil & Gas, environmental survey, sewage pipe – aqueduct & dums preventive survey, fish farm monitoring, coast safeguard for military remediation, harbour survey & hull survey, and much more. By means of our ROV Opportunity (an underwater drone) every job will be carry out: this ROV is designed for work survey & maintenance with environmentally friendly, equipped with Full HD video camera and high performance fiber optic umbilical. ROV Opportunity is a subsea robotic, controlled by fiber optic umblical, designed for underwater survey & difficult access place as aqueduct, harbour area, fish farm, dums, hydroelectric station, Offshore platform and exploration activity in the sea (depth rating 300 m. and max horizontal distance 2.000 m.), river and lake. ROV Opportunity is designed with compact & hydrodynamic shape. Capable to fly nimbly&silent underwater, by means of vectorial thruster able to move with 4 degree of freedom: forward/backward, up/down, rotation left/right and translation left/right. To meet our Company and discovery the Job Opportunity with our ROV Opportunity, is possible at our stand at RemTech Expo, the only permanent international event dedicated to reclamation of contaminated sites, environmental and natural hazards, safety, maintenance and upgrading of the territory, climate changes and circular chemistry. Request now your free ticket! 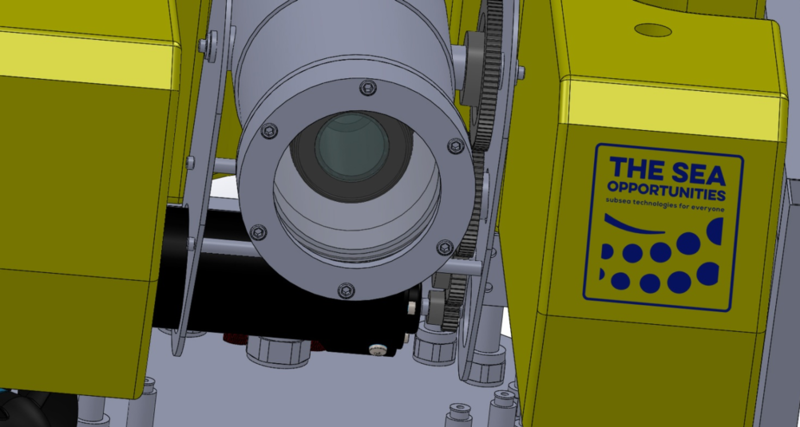 THE SEA OPPORTUNITIES INTRODUCES NEW ROV: ROV Opportunity – Observation Class ROVs … and much more! !